Combine the lettuce and spinach in a large bowl. Spread the greens mixture on a large platter. Arrange the ingredients on top of the lettuce in rows. To serve: Toss the salad together and drizzle with Champagne vinaigrette. 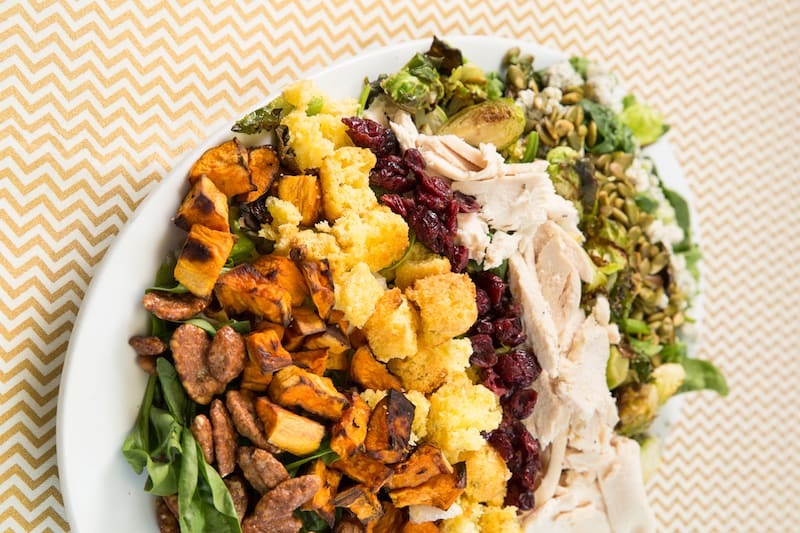 Feel free to add any additional veggies leftover from your Thanksgiving meal!